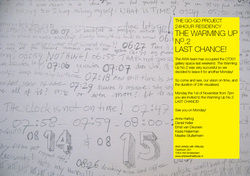 A 24 hour work for Gogo Project at AWA gallery. 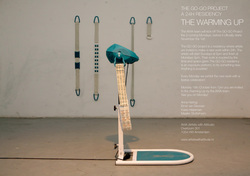 Starting Go-Go Project at AWA gallery. Working on a project about Yu. 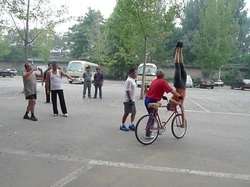 A 74 year old Chinese bicycle-acrobat. My box is open from 5 pm untill 12 am. Performance at 21:00: Short uncensored film "Artistic Differences"